The Features are an American indie rock band from Tennessee. Though they have had limited success in the United States, they have been very well received in the United Kingdom and have a very loyal following in the Southeastern United States. Matt Pelham, Roger Dabbs, Don Sergio, and Parrish Yaw attended middle school together in Sparta, Tennessee, a rural town that at the time had a population of less than 5,000. Pelham, Dabbs, and Sergio started a band when they were in the eighth grade out of boredom, and they started playing covers of Camper Van Beethoven, Neil Young, Guns N' Roses, and others. As they continued through high school, they continued to play together at local events like parties and talent shows, then graduated to playing at various bars and clubs around nearby college town Murfreesboro and in Nashville. Within a few years they had become a fixture of Murfreesboro and nearby Nashville, and soon signed a deal with Spongebath Records, a local independent label that featured several of the biggest rock acts in the Nashville area such as Self, The Katies, and Fluid Ounces. Their first release, a six-song self-titled EP, was released in 1997. Once they graduated from high school, Pelham and Dabbs moved to Murfreesboro to study music at Middle Tennessee State University while Sergio and Yaw went to Tennessee Technological University in nearby Cookeville. It was here that Pelham and Dabbs brought classmate Jason Taylor on to play drums, and Sergio brought Yaw on to play keyboards. Murfreesboro was a much larger town than Sparta, and The Features began to play at various bars and clubs around town, eventually dropping out of college to focus on the band. In 1998, the band recorded a full-length LP for Spongebath. The album was never released, although two tracks from the sessions, "Thursday" and "Rabbit March", were released as a limited 10" vinyl record. Around this time, original members Don Sergio and Jason Taylor both left the band. Taylor was replaced by Rollum Haas. In 1999-2000, they recorded their second full-length LP with Matt Mahaffey at his studio in Murfreesboro, which was also never released. In 2001, they released "The Beginning" EP. Their incessant touring and critical buzz led to a deal with Universal Records. Universal re-released "The Beginning" EP in 2004, and followed with their first-officially released album, Exhibit A. The band gained a lot of exposure opening for fellow Tennesseans Kings of Leon on various tours. Currently, the band consists of Matthew Pelham, Roger Dabbs, Mark Bond, and Rollum Haas. They are unsigned and have had limited success, but have been well received by British media. On June 17, 2009, Bug Music CEO John Rudolph announced that his company and Kings of Leon would be entering into a joint venture to establish a new record label imprint (later named "Serpents & Snakes"). For this new imprint, Kings of Leon has the freedom to sign and champion artists of their choice. 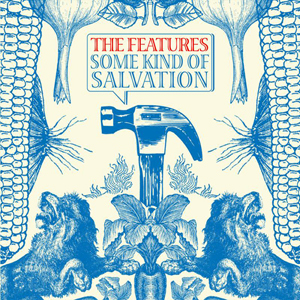 The Features were the first band to be signed to the imprint, and the first release as part of the deal was the Some Kind Of Salvation LP, released July 28, 2009.